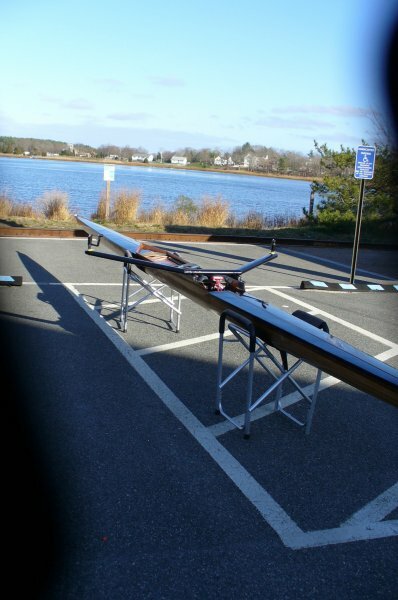 In June 2011, Richard Van Voris, the boatman for the Tabor Academy crew in Marion, Massachusetts, launched a 27′ x12″ single scull designed by Graeme King. 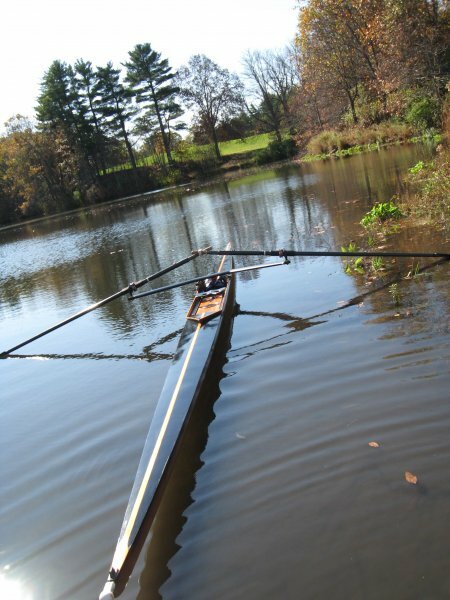 Richard built the hull from 1/8″ red cedar strips , reinforced with carbon fiber, and covered with epoxy. 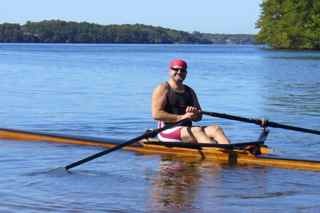 He made the deck from a Nomax core laminated to a veneer of cedar. 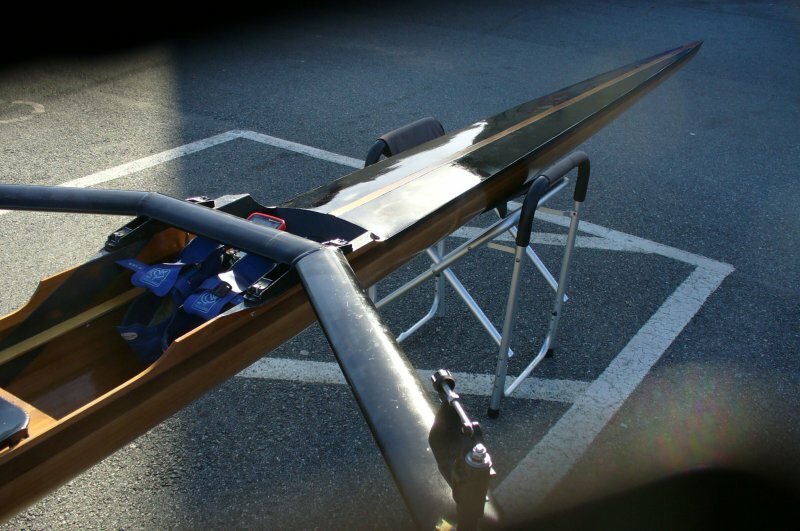 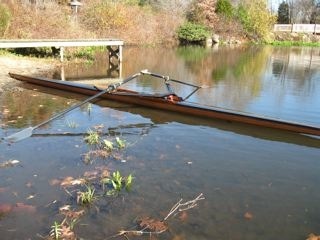 He uses a wing rigger created by Row Fit to row the boat on Cape Cod and throughout New England.